Small forward Cory Dell’Olio has been elevated to the club’s senior list ahead of Saturday night’s clash against GWS. Essendon Football Club is pleased to confirm Cory Dell’Olio and Ariel Steinberg have re-signed with the club for the upcoming season. 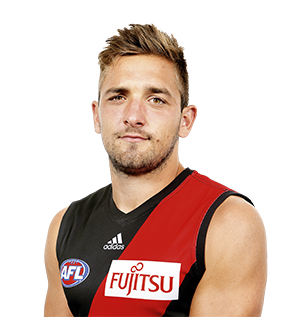 Small forward Cory Dell'Olio takes part in our red and black series giving fans a different look at their favourite Bombers. 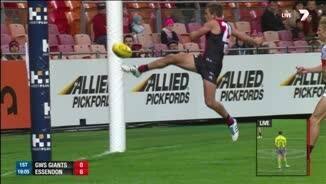 Having made his AFL debut in 2012, Dell’Olio was pushed back to the rookie list again but won an elevation to a senior position late last year. 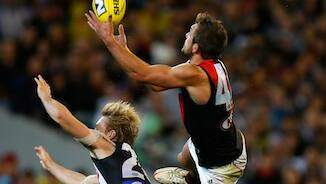 He played three games and kicked three goals and was granted a third year on the rookie list. The freakish small forward was on Essendon’s radar long before he kicked 57 goals in the WAFL for South Fremantle last year. He is strong, quick and has good goal-sense.